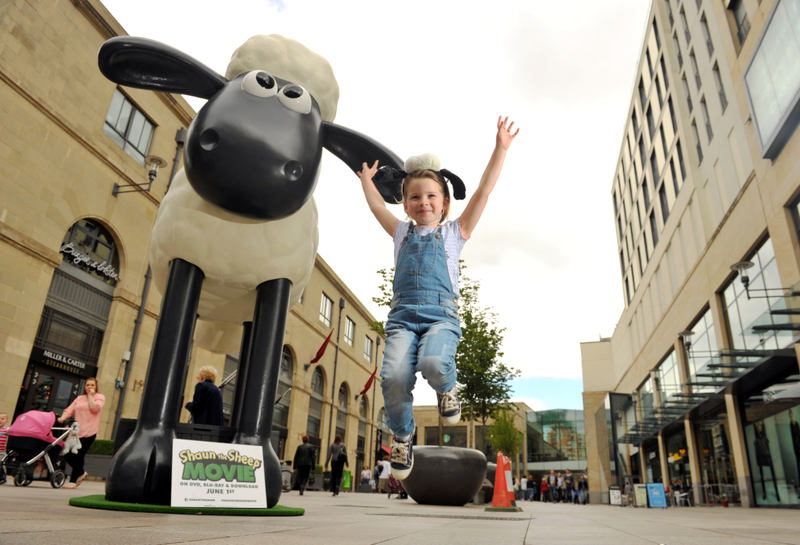 On the 25th and 26th May a great big Shaun the Sheep flocked to The Hayes to take up residency for a couple of days for a big city adventure in Cardiff. 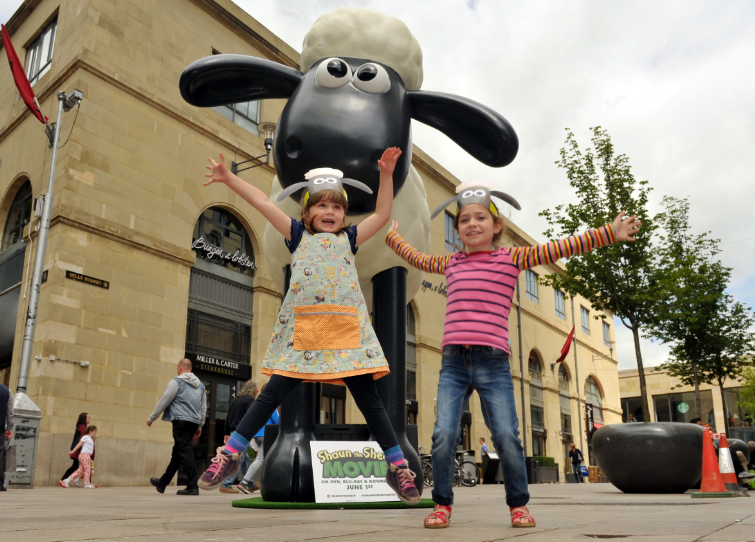 Each day a pair of fluffy Shaun ears was given for the first 100 kids who came down to see Shaun, along with activity sheets and other entertainment. Shaun’s adventure to Cardiff was in anticipation of the DVD release of the critically acclaimed SHAUN THE SHEEP: THE MOVIE which will be available to own from 1st June after taking an astounding £13m at the UK box office. From Aardman, the creators of Wallace & Gromit and Chicken Run, SHAUN THE SHEEP: THE MOVIE is the hugely popular British animation that has delighted fans of all ages. When SHAUN decides to take the day off and have some fun, he gets a little more action than he bargained for! SHAUN’s mischief inadvertently leads to The Farmer being taken away from the farm, to the Big City… A story about how we sometimes forget to appreciate the things we have in life, and the people who love us.